Anand Mahindra, the Chairman of Mahindra Group has confirmed via a tweet that a new BSA motorcycle is under development. Anand Mahindra's tweet hints at the development of a new BSA bike. 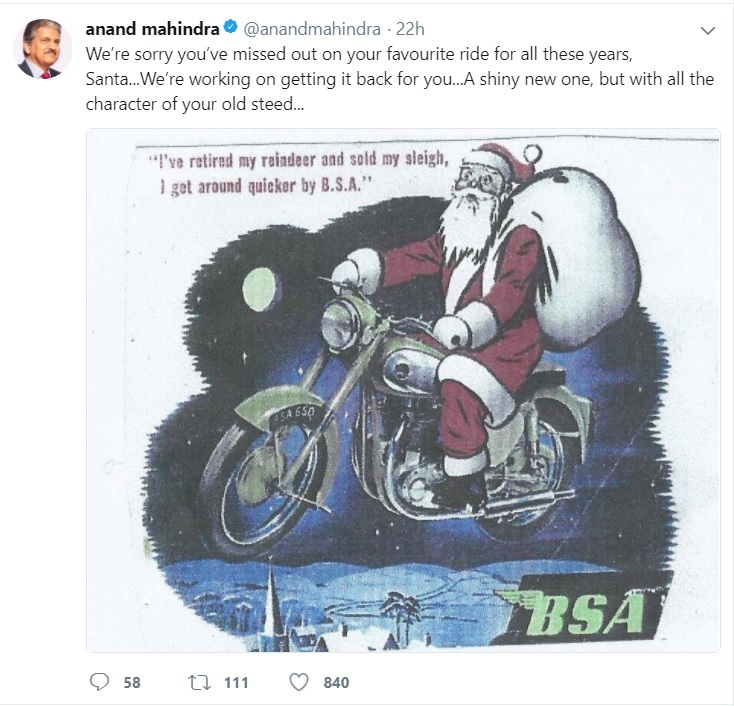 Mahindra tweeted on Christmas, with a picture of an old BSA advertisement, that the brand is working on a new motorcycle. He stated that the new bike will have all the character of the old one. Based on his tweet, it is safe to speculate that the upcoming motorcycle will have classic design with modern underpinnings. In October 2016, Classic Legends Private Limited (CLPL), a subsidiary of Mahindra and Mahindra, acquired the BSA Company for around INR 28 crore. Mahindra owns a 60% stake in CLPL, and can thus obtain licenses for using the trademark names. The BSA bikes, once developed, will reportedly be sold in the American and European markets. A 21st century rendering of the BSA Victor surfaced in December, last year. The company also plans to launch the Jawa brand by March 2019. It will manufacture the bikes in its Pithampur facility in Madhya Pradesh and the brand reportedly plans to sell through a separate dealer network. 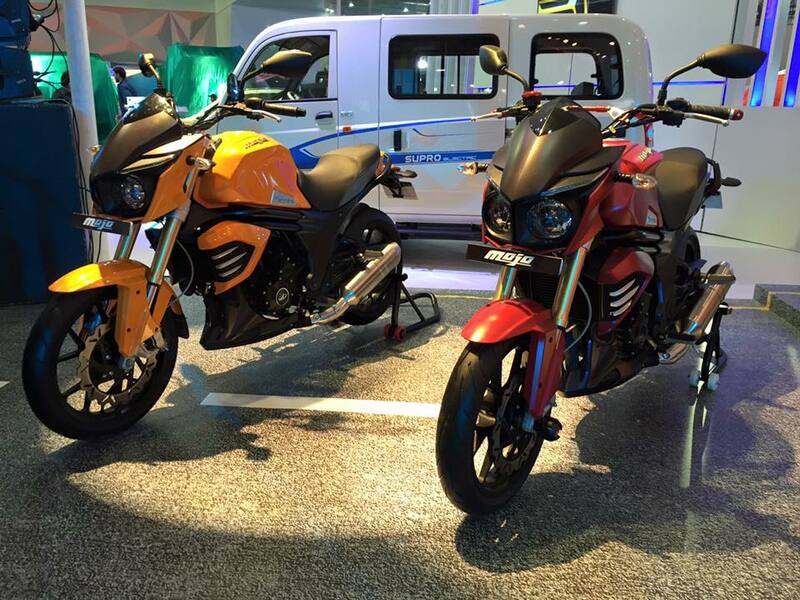 Mahindra is also offering festive schemes till December 31 on its touring motorcycle, the Mojo. In September this year, Mahindra also revealed that an electric scooter based on the Gusto is under development.. The Indian automaker is reportedly considering bringing the GenZe electric two-wheeler brand into the country as well.